Elegant Contemporary Living with Oversized In-Law Living Quarters. 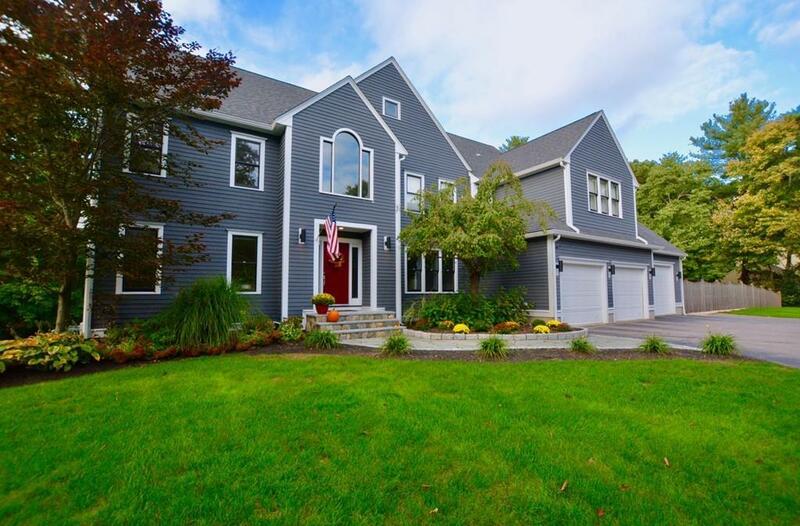 Stylishly redesigned and handsomely appointed by a Boston Luxury Real Estate Developer. Generously spacious and open, gleaming with natural light, vaulted ceilings, sunken dining and reception areas, attractive walnut stained floors, stunning center entrance staircase leading to an open second floor mezzanine, two spacious master suites, extensive modern details throughout. Massive finished lower level and a delightful two bedroom, updated kitchen and bath in-law. No expense spared on the resort-like private yard, top of the line hot tub, Sadona stone, granite, stainless outdoor kitchen, heated pool, firepit, gazebo, expansive deck for impressive alfresco entertaining. This elegant home sits on a hill in a desirable neighborhood with walking access to a vast nature preserve. Enjoy the allure of modern design, backyard oasis, outdoor recreation, and comfort of your loved one nearby. Listing courtesy of Dawn Boynton of Robert Paul Properties. Listing provided courtesy of Dawn Boynton of Robert Paul Properties.